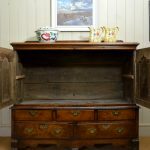 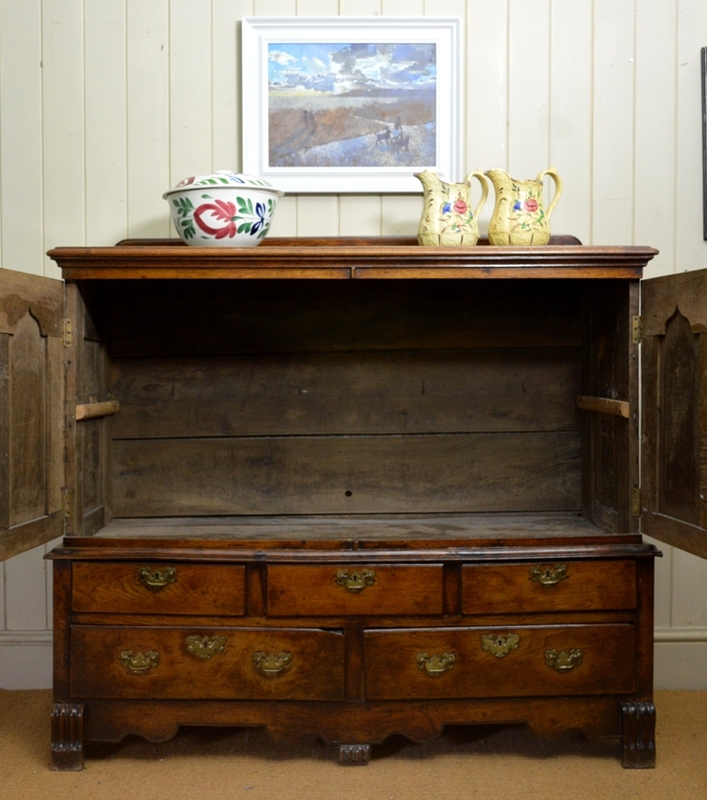 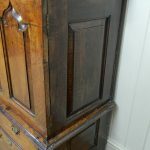 A Carmarthenshire coffer that has been converted into a small cupboard. 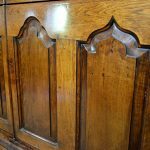 Very many of these coffers have been converted in the past. 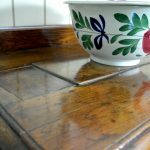 Some, as in this case, a quite some time ago. 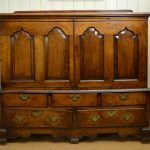 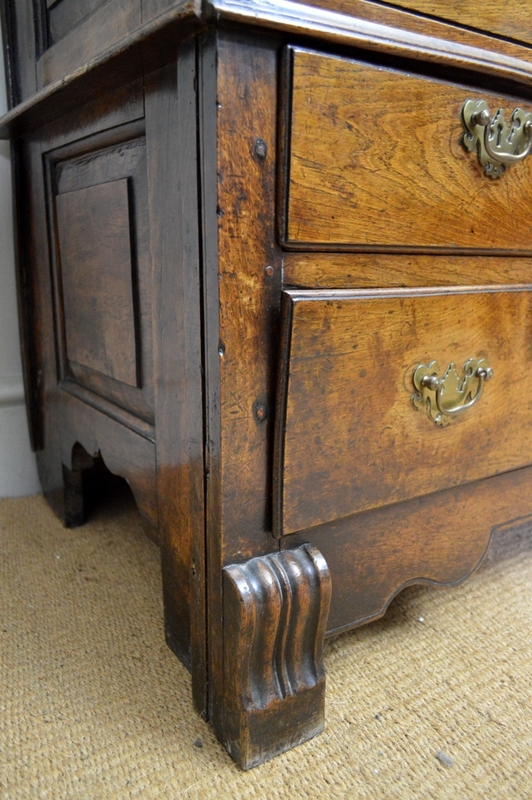 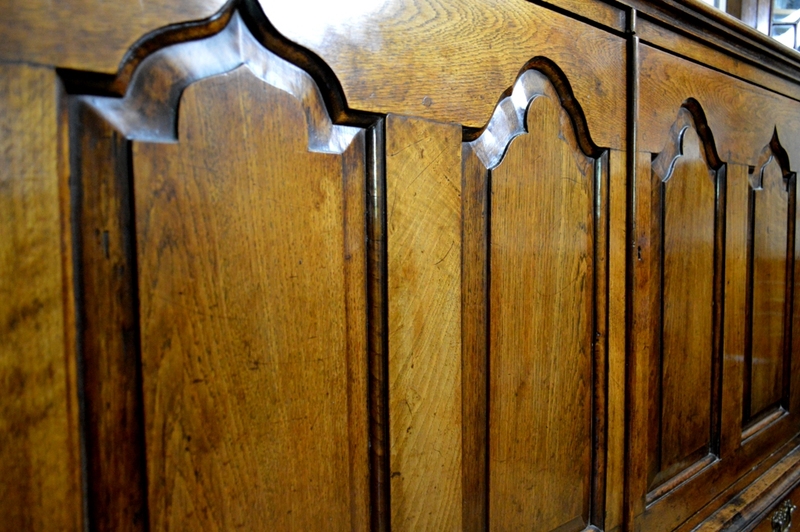 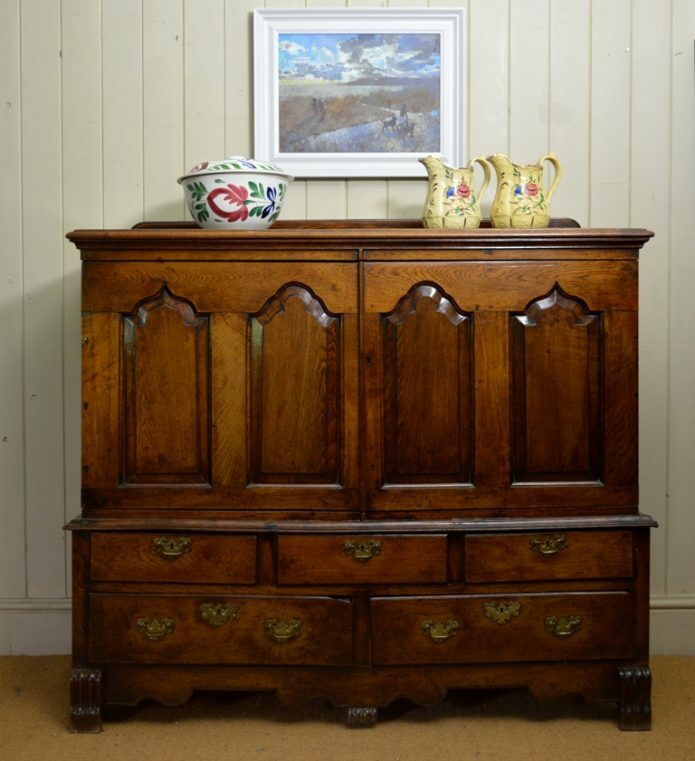 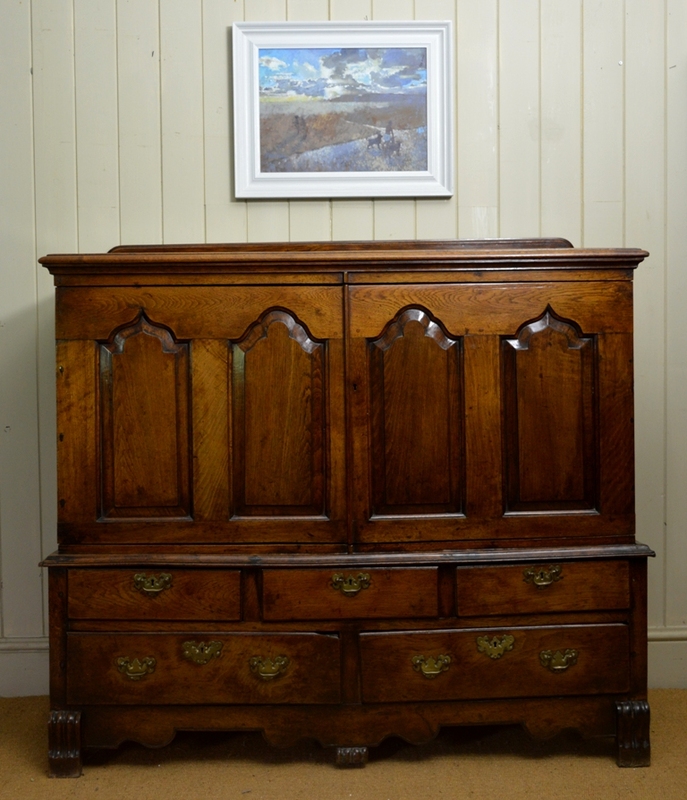 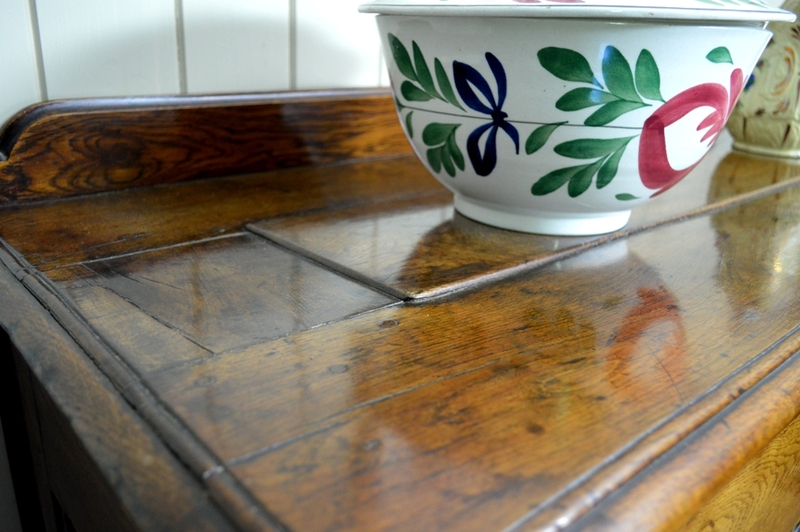 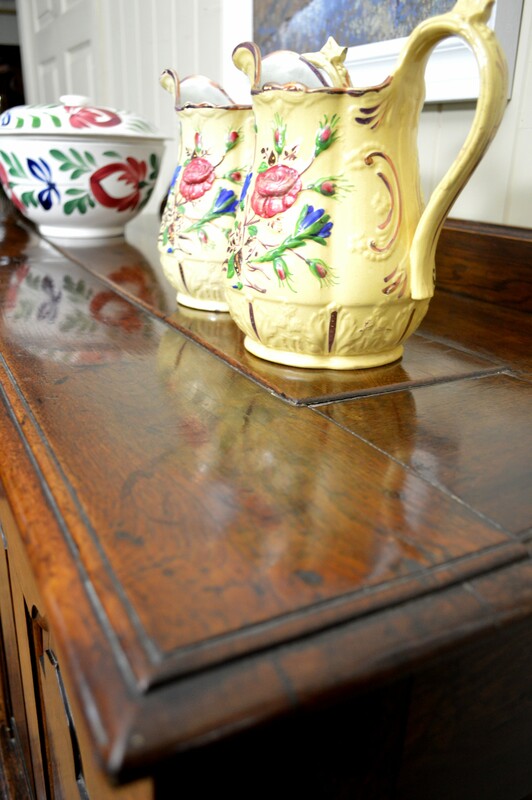 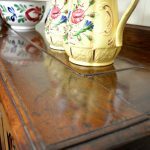 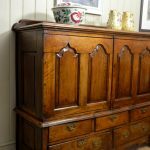 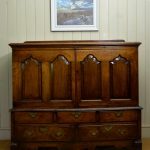 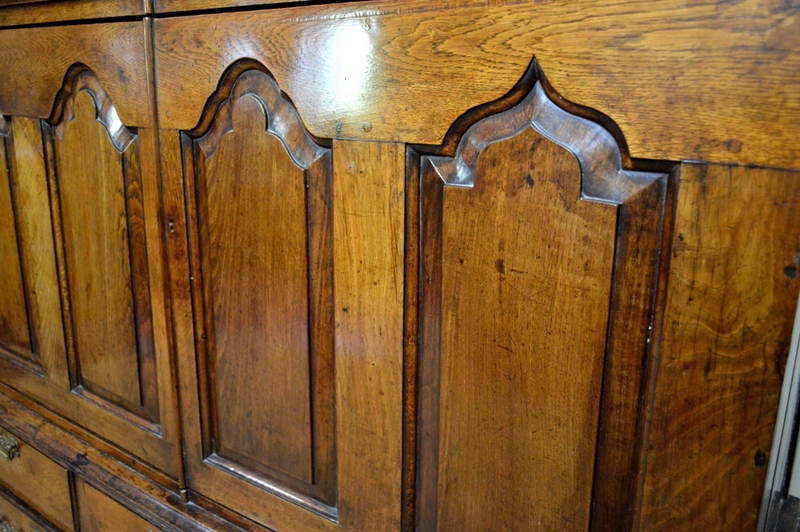 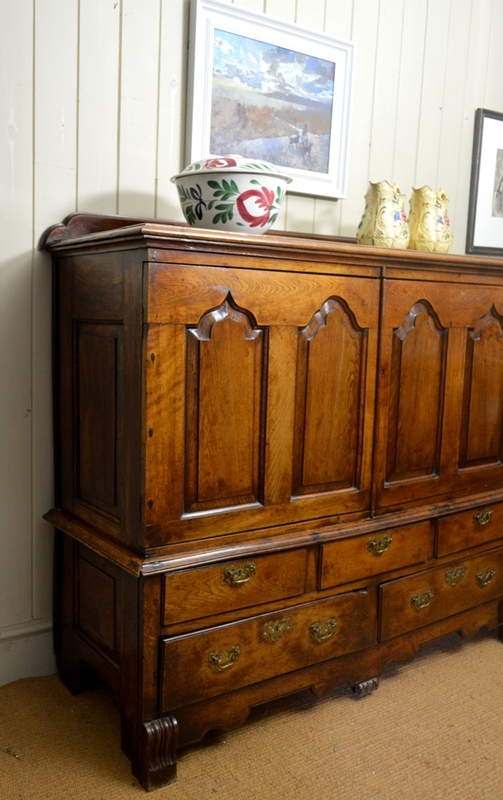 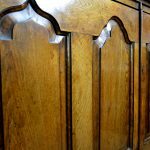 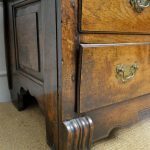 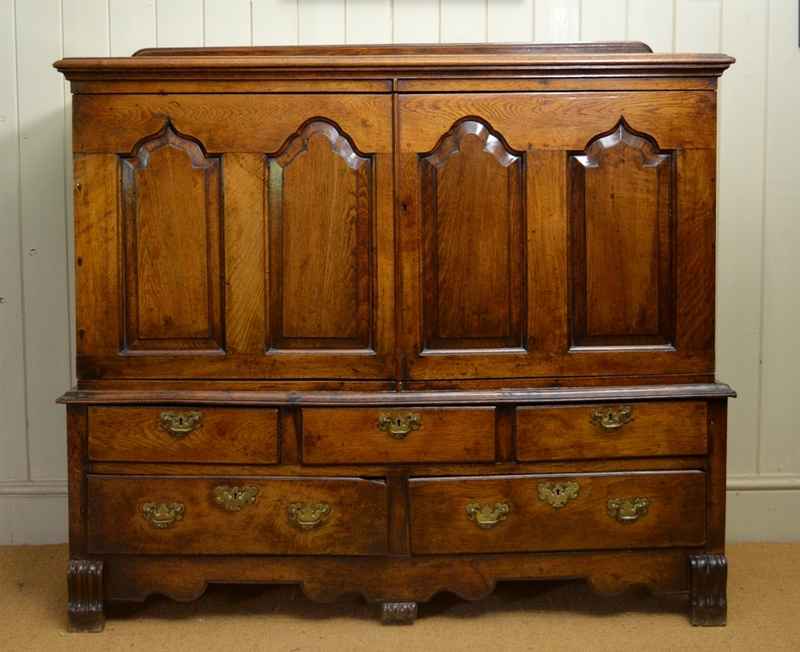 This one is made from oak and has a great colour and has some interesting detail such as the shaped panels, the decorated feet and it is also panelled at the sides. 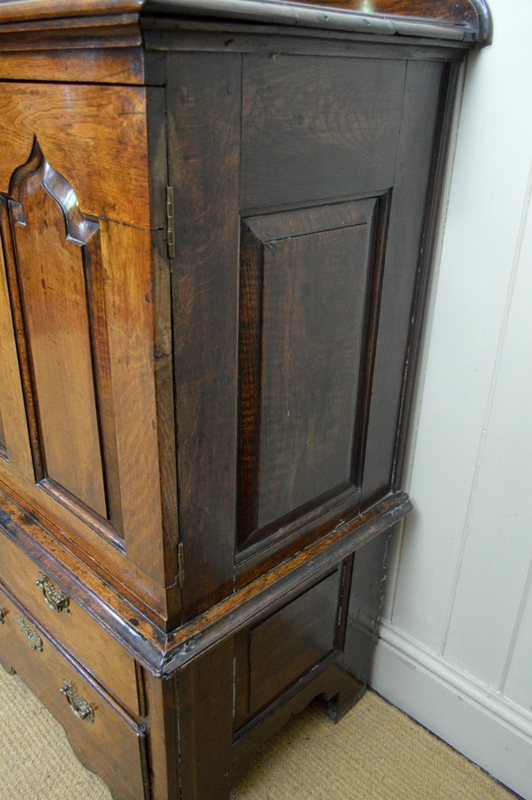 As you can see the cupboard does offer good storage.